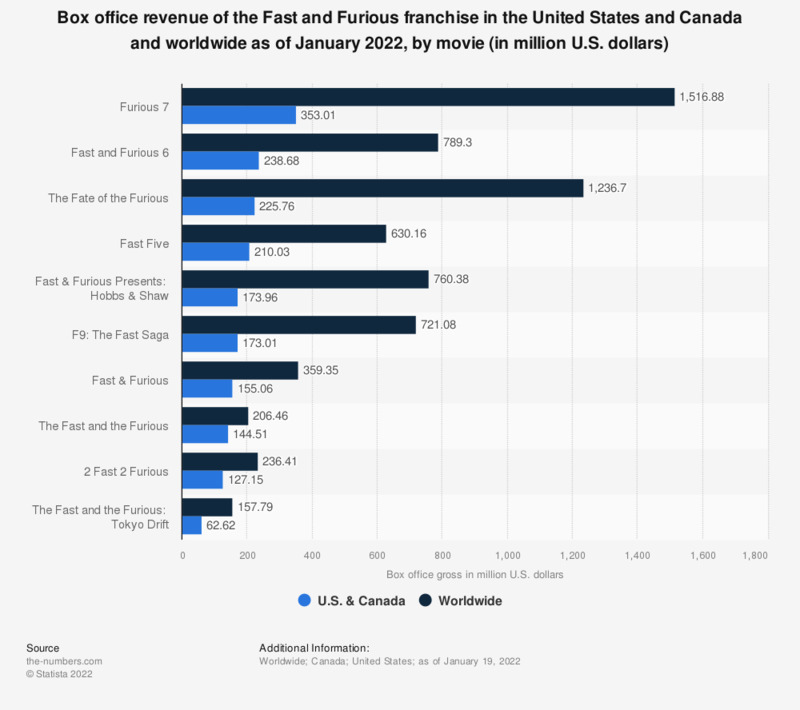 The statistic presents the box office revenue of The Fast and the Furious movie franchise in North America and worldwide. As of January 2018, "Furious 7", the seventh installment in the series, reached a gross of 353.01 million U.S. dollars in 4,022 cinemas across North America. The film had the highest grossing opening weekend of all of the films in the franchise, bringing in a box office gross of 147.2 million U.S. dollars when it was released in April 2015.